Frank Brault | all galleries >> Connecticut >> Around Long Island Sound - Connecticut Shoreline > Shell in captivity - color version below. 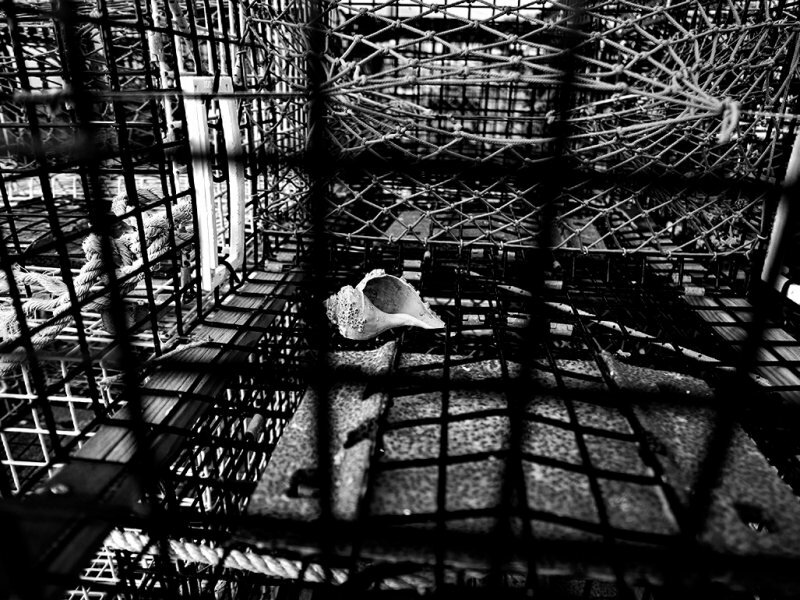 Shell in captivity - color version below. Superb images, Frank! Personally prefer your b&w version! V!! 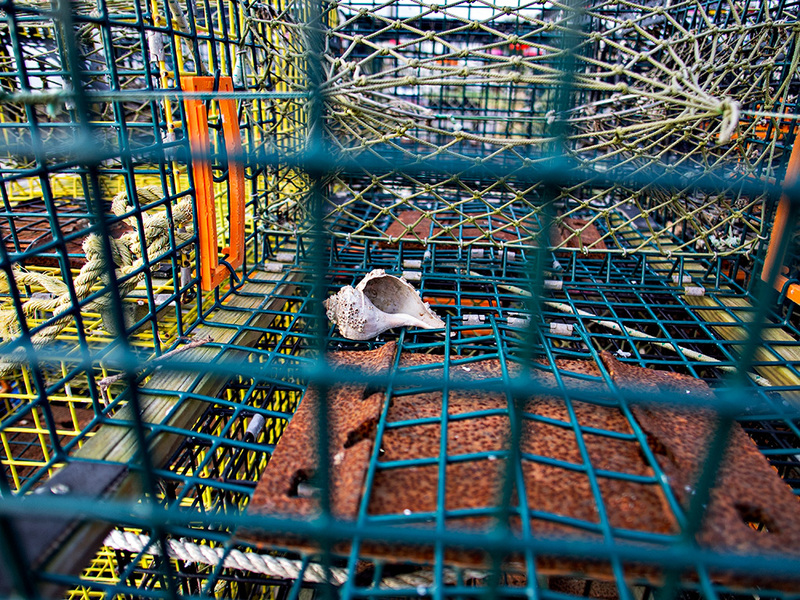 Such a big cage for a little shell Frank. I think Lobster / Crab Traps have to be among the most difficult subjects to photograph. In this case I prefer the the b&w version as it makes the viewer concentrate on the complexity of all the lines. Great with the solitary shell by the way, an apt metaphor for the diminishing catch. "V"